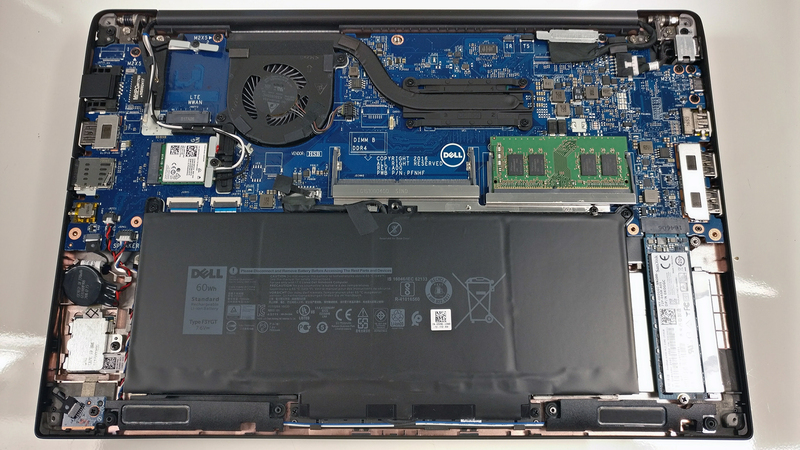 No service lids help with upgradeability of the Latitude 14 7480 but the bottom piece comes off quite easy and gives access to all of the internals not only for upgrade but for maintenance as well. Remove all the screws around the bottom plate and then gently lift/pry it up. It shouldn’t pose any trouble at all. 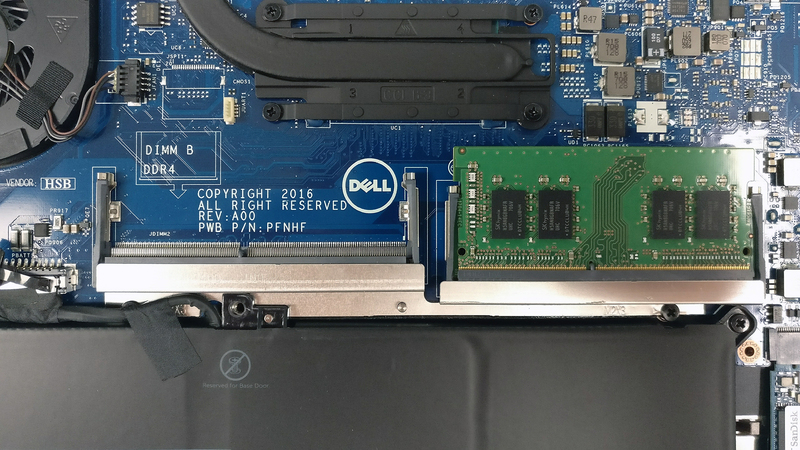 As most 14-inch ultrabooks, this one comes only with a single M.2 SSD (2280) slot. In our case, the bay is occupied by an M.2 SATA SanDisk X400 SSD, although the motherboard support PCIe NVMe drives as well. 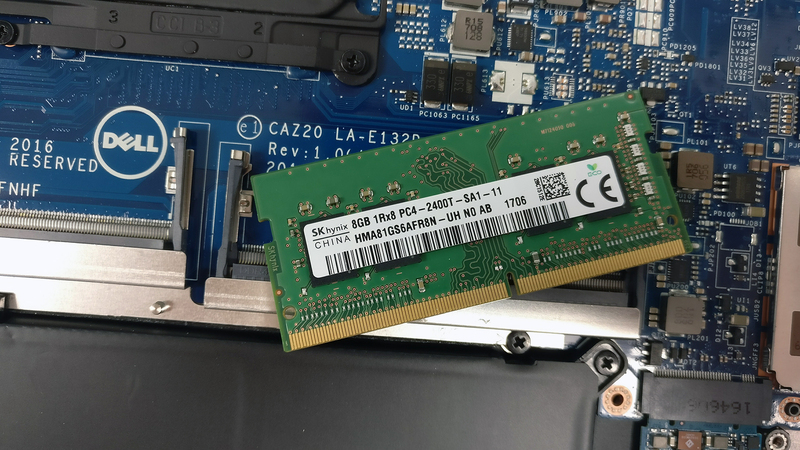 Surprisingly, the laptop can support up to 32GB of DDR4-2400 memory via two RAM slots. 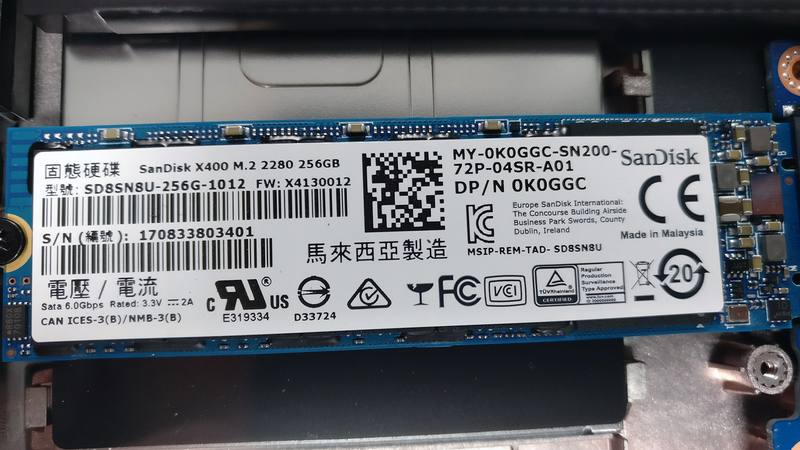 The unit we’ve tested came with a single 8GB SK Hynix chip. 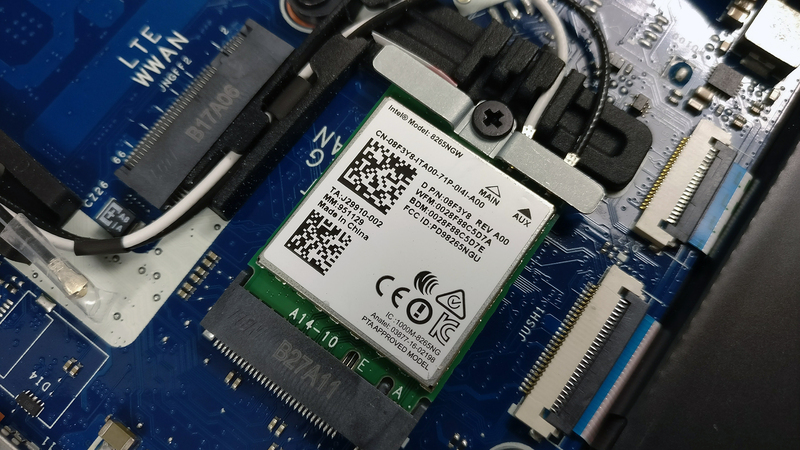 The Wi-Fi card is Intel 8265NGW and can be found next to the cooling fan. 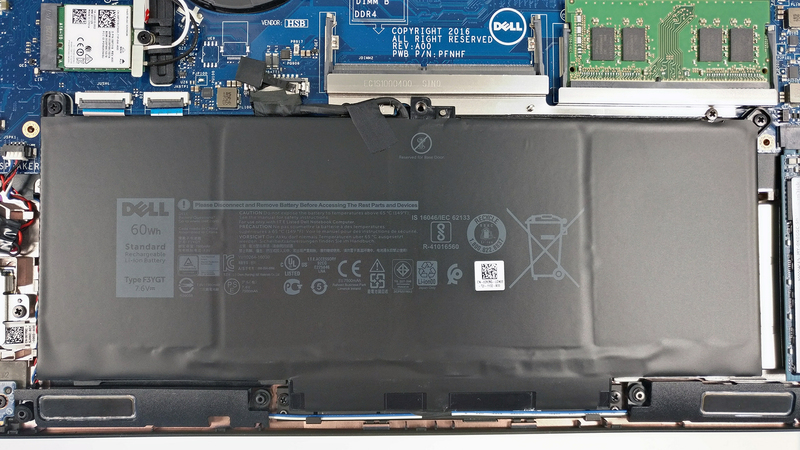 The battery unit is rated at 60Wh and it’s placed under the wrist rest area. For a CPU like this one, there shouldn’t be any fancy cooling designs – just one heat pipe connecting the cooling fan and the heat sink is enough. 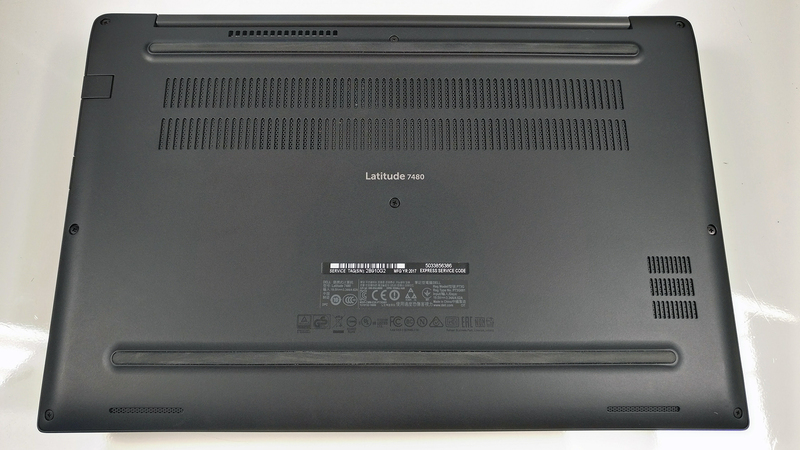 The full review of the Dell Latutide 14 7480 can be found here.